Canada's in a recession. Here is how the Conservatives are trying to downplay what's happening to the economy. After months of bobbing and weaving, it’s pretty hard for Stephen Harper to deny Canada isn’t in recession after new numbers released by Statistics Canada Tuesday show the economy shrank by 0.1% in the second quarter of 2015 after it fell 0.2% in the first quarter. According to Harper’s own legislation, a recession is defined as “a period of at least two consecutive quarters of negative growth in real domestic product for Canada.” In other words, the economy shrinks for six months straight. So there you have it: two consecutive quarters of negative growth. We’re in a recession. Guess the winds of prosperity have taken us for a U-turn back into another disturbing calm of recession. Oliver was responding to reports from the Bank of America and TD bank that found evidence Canada was in a recession. On Tuesday, Oliver was nowhere to be found. Is anything in this world truly permanent? Like the changing of the four seasons, Harper understands the human condition is marked by eternal comings and goings. Just this week he referred to the prospects of a recession as simply a “temporary effect” so the best thing to do is stay the course. No need to do anything, then. Everything is temporary. Recession? Nah. It’s like a charlie horse. Walk it off. “We’ve had a contraction that has been focused almost entirely in one particular section of the economy, particularly the energy sector,” Harper said this week. 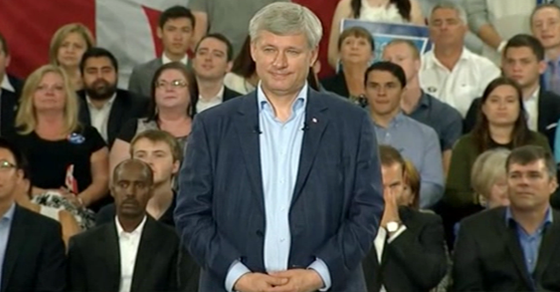 And Harper’s not alone – Jason Kenney subscribes to that theory too. Unfortunately, new Statistics Canada’s data shows “manufacturing, construction and utilities also declined in the second quarter,” so it appears Kenney is wrong. Why attach labels to things, anyway? Isn’t it all just words at the end of the day. “I think it’s more important to describe the reality of a situation, rather than labels,” Harper said this week when he was asked to provide a definition of a recession. And while we’re at it: what is reality. It is not clear what a “permanent recession” actually means considering few (if any) people other than Harper have ever used the term, although the term seems to imply the economy will continue to shrink for eternity. The Great Depression is generally considered to have lasted a decade, however, no economy in history is known to have gotten smaller year after year forever. economy Jason Kenney Stephen Harper What the fact? Jason Kenney would like everyone to know that the Canadian economy getting smaller and smaller and smaller each month is merely a "discrete sectoral downturn." 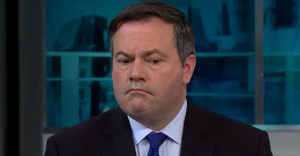 Last week, Conservative candidate Jason Kenney boasted Canada is “the only country in the world” to eliminate its deficit. It turns out that statement was entirely false.